A class in the Hanlon Lab for Financial Analytics and Data Visualization. Stevens will play a key role in helping other AACSB-accredited schools better prepare tomorrow's leaders for a workplace dominated by artificial intelligence and business analytics. 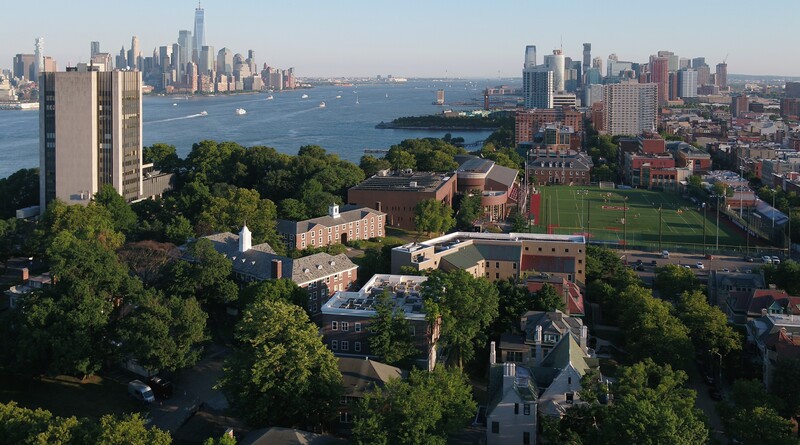 The School of Business at Stevens Institute of Technology has built a reputation as a leader in research and education that prepares students to guide digital transformation efforts in the workplace. Now, AACSB International — whose seal of accreditation is considered the gold standard among business schools — is counting on Stevens to do the same for academia. Stevens, along with the Bothell School of Business at the University of Washington, is leading the newly announced Digital Transformation Affinity Group, which will guide how business schools prepare future professionals for a corporate world increasingly influenced by artificial intelligence, machine learning and data analytics. Dr. Gregory Prastacos, dean of the School of Business, will serve as academic co-chair of the affinity group, where he will guide efforts to explore key areas of the digital transformation and their effect on business schools, build innovative partnerships with businesses, establish interdisciplinary connections and share experiences in preparing the corporate leaders of tomorrow. The goals of the Digital Transformation Affinity Group include the creation of learning opportunities, from cutting-edge business practices and innovations, to better inform curricula and research initiatives, and the development of programs that promote awareness of digital transformation and its impact in society. Stevens already offers a number of academic programs that challenge the conventions of a typical business school. An undergraduate program in Quantitative Finance blends computer science, math, finance and business skills, creating graduates who are highly coveted on Wall Street and beyond. Master’s programs in Business Intelligence & Analytics and Financial Analytics, an Analytics MBA and a Ph.D. in Data Science present business concepts with a heavy emphasis on the programming, analytical and data-mining skills now seen as mandatory for many management positions. Furthermore, School of Business faculty are leading research and undertaking industry projects in areas such as blockchain, cognitive computing, crowdsourcing, collective intelligence, natural language processing, sharing economy, open source software and algorithm design. High-tech analytics and visualization labs are crucial to this effort. The group is launching with more than 30 members from schools such as the University of Pennsylvania, Rensselaer Polytechnic Institute, Georgia Tech, Temple University, Narsee Monjee Institutes of Management Studies, University of Strasbourg, Zurich University, Bocconi University and Boston University. The co-chairs are currently developing a draft business plan for the group, which they will present to the group at the 2019 AACSB Deans Conference, in Vancouver.